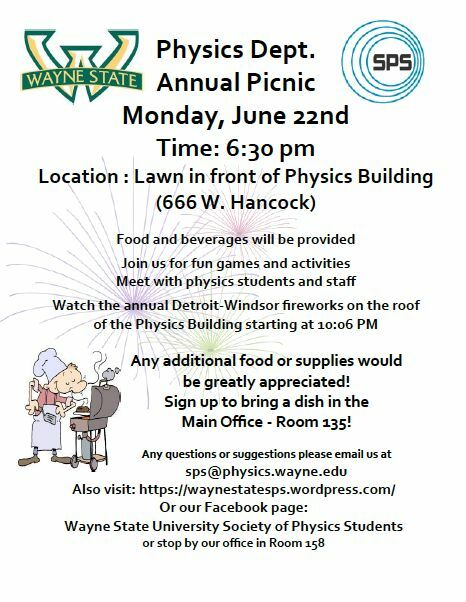 Please join us for our annual department picnic and the Detroit fireworks! SPS will be providing food and grilling, but we would greatly appreciate any side dishes. Hope to see you there!